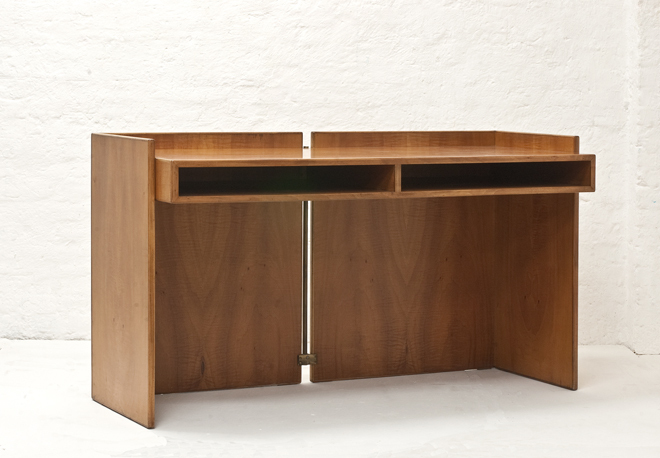 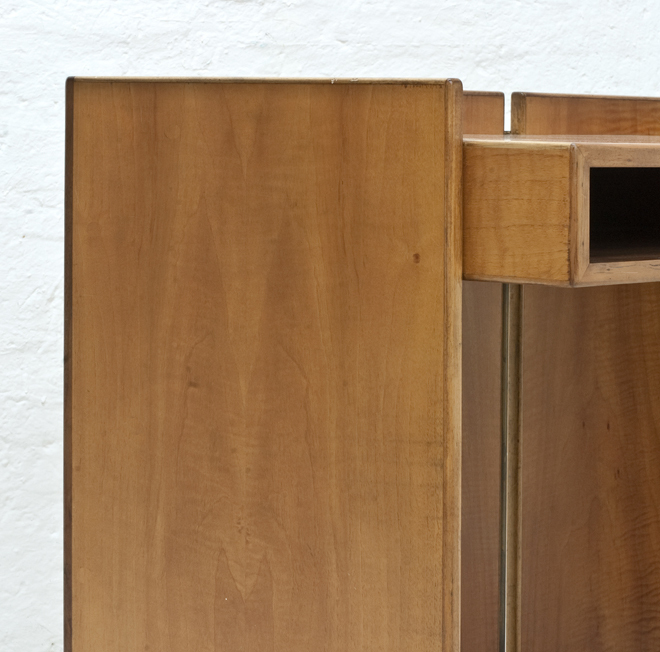 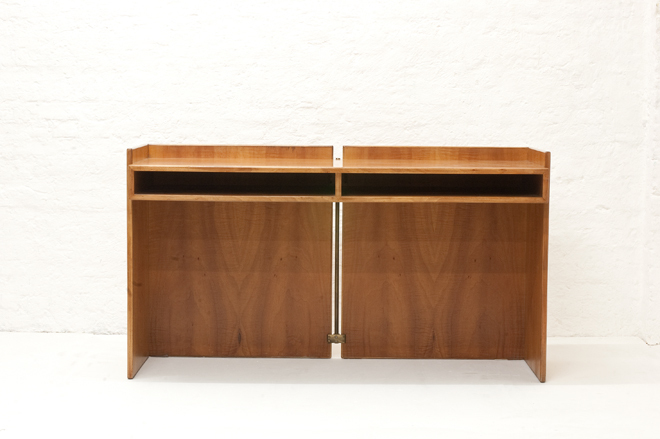 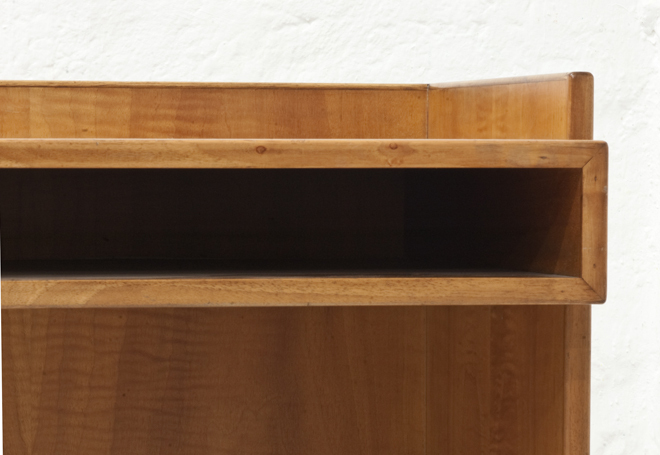 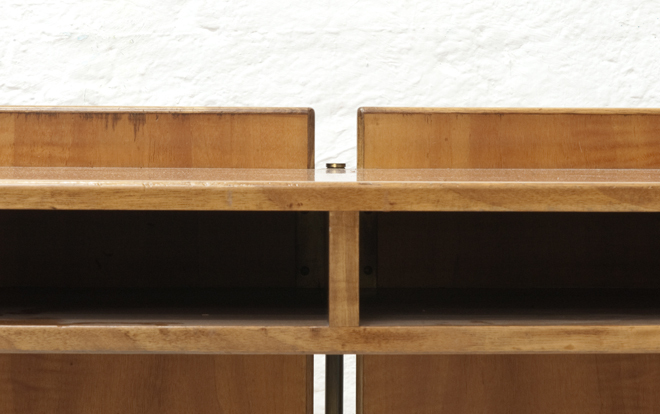 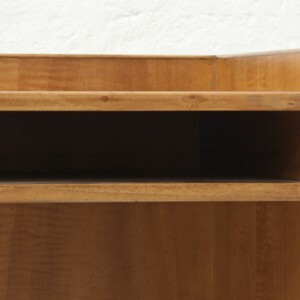 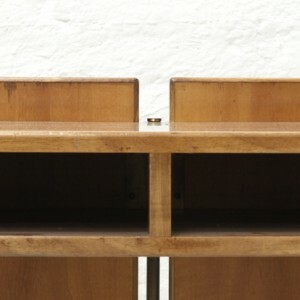 Desk designed by Carlo Scarpa for the Banca Populare di Verona in 1973. 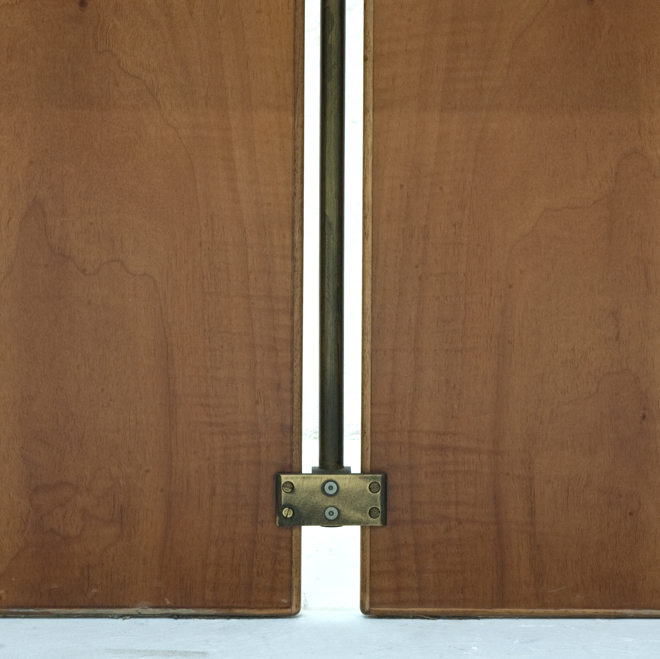 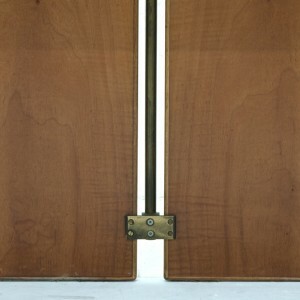 Walnut verneer with brass connecting elements. 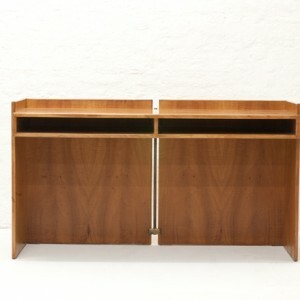 150 cm x 56 cm, table hight 76 cm, back hight 82 cm.